Do your family vacations sometimes feel like a whole lot of work? Has your family ever suffered from amusement park burnout? You know … too many long lines and too much junk food? Mom and dad deserve a vacation, too, and we think they shouldn’t spend every precious hour serving as their children’s personal theme park assistants. 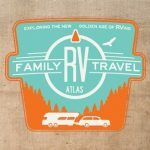 So why not choose an RV destination that the whole family will love? We have this radical idea that kids have more fun on a family vacation when mom and dad are having fun too. We want our kids to see our very best selves on vacation. We want them to see us having fun and having fun with them. That’s why it is so important to pick the right destination for our family trips, and we take our research and planning pretty seriously around here. We love hiking, kayaking, biking, and great local food when we travel—so we look for those things when we plan a trip. But we also take our kids into consideration. They love mini golf, theme parks, zip lining, and swimming—so we look for those things, too. Once we arrive at our vacation destination, we often divide the day into two parts. If the boys are good sports on our hike or kayak ride in the morning, then we reward them with an activity of their choice in the afternoon. This works like magic and, more often than not, we all end up enjoying the whole day together. So our number one priority when searching for RV destinations is that the location has lots of interest for the adults and lots of spectacle for the kids. Over the years, we have found so many places that hit the sweet spot. We love Myrtle Beach, South Carolina because we can go for a Cypress Swamp kayak tour in the morning, eat great seafood for lunch, and then take our kids on boardwalk rides in the afternoon. We love the White Mountains of New Hampshire because we can hike up to a stunning vista in the morning, find a great roadside food joint for lunch, and then take the kids to a water park in the afternoon. Most recently we fell in love with Mount Airy, North Carolina. We cruised on the Blue Ridge Parkway in the morning, listened to live bluegrass in the afternoon, and then took a zany tour of Andy Griffith’s hometown in a vintage 1963 Ford police car in the afternoon. We loved the historical, guided tour. The boys loved the roaring sound of the V8 engine and the wailing siren.